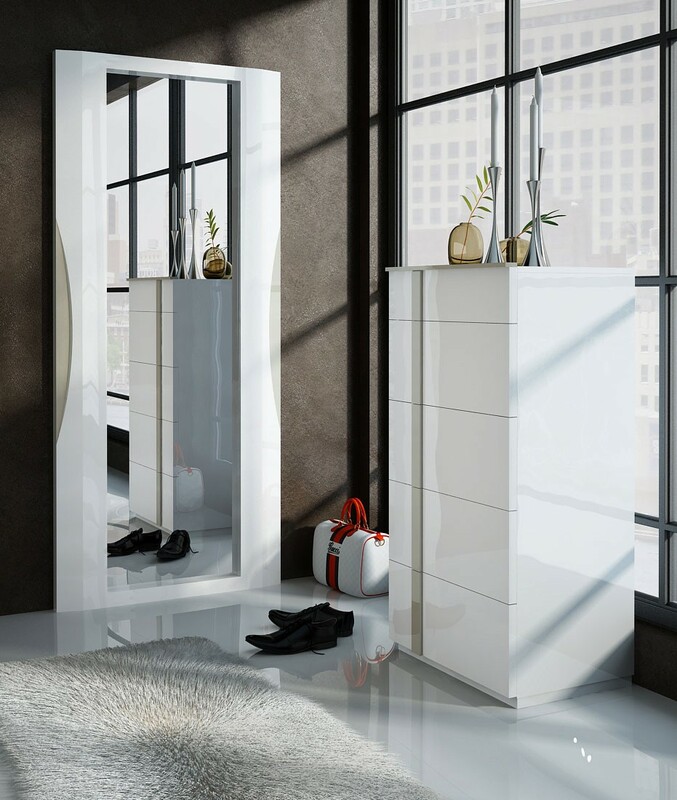 Bring the latest European design into your home with Granada bedroom set in white lacquer finish made in Spain by Fenicia Mobiliario. 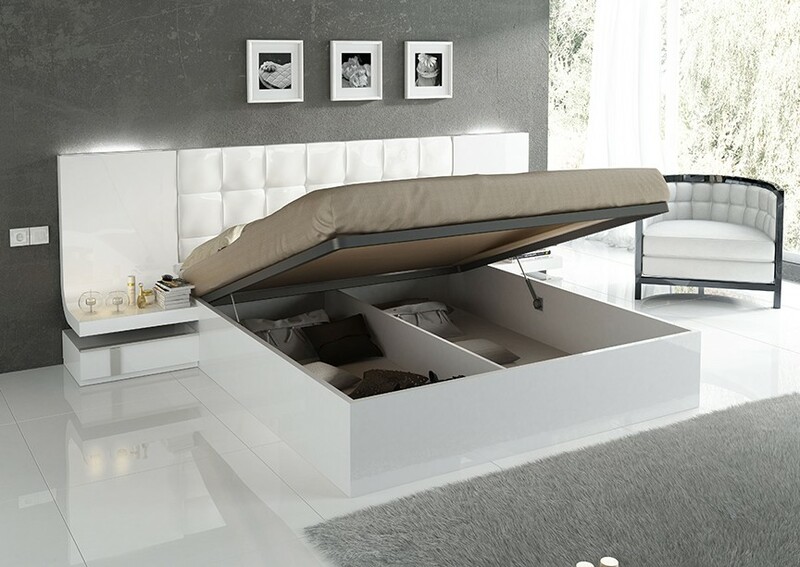 Luxurious headboard on the platform bed features LED lights and ultra modern style. 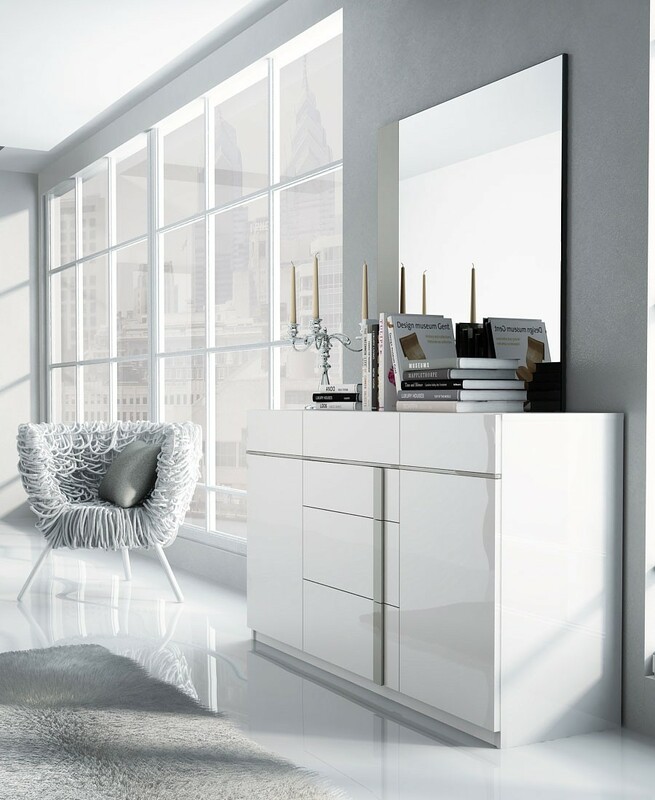 White lacquer finish completed by grey accents and square base on case goods and floating design on the bed.